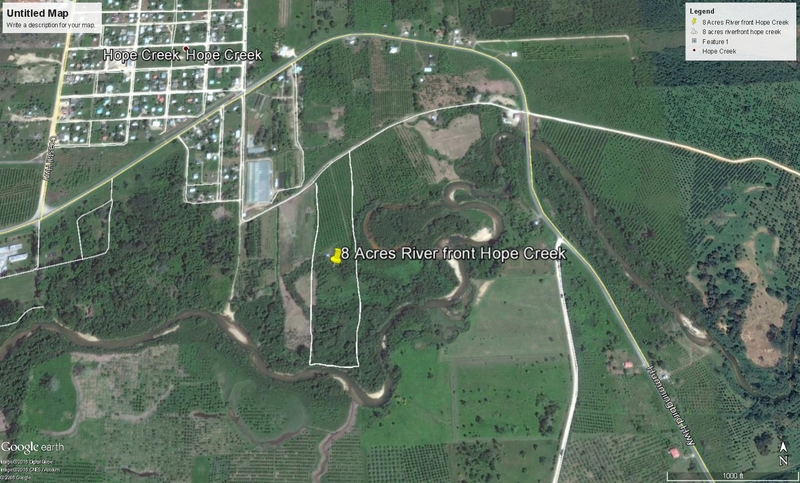 PRICE: $79,000 USD (158,000 BZD) This is a rare opportunity to purchase 8 acres of gorgeous riverfrontage with about 5 acres of corn and bananas in the village of Hope Creek in the Stann Creek District of Belize. Hope Creek is located about 8 miles from the sea, and the south central town of Dangriga which has regional airport and hospital. This area is developing rapidly as development spreads out from the town. The majority of his property (about 6 acres) is on high ground and never floods, and there is a recently built 40′ by 60′ four foot high cement foundation built, and a caretakers dwelling already built. The foundation provides enough space for a duplex or a single huge dwelling. Power and water are accessible, and this property is about one quarter mile off of the Hummingbird Highway near the ADS nurseries. The corn and bananas makes a nice hobby farm, or the land could be subdivided also. 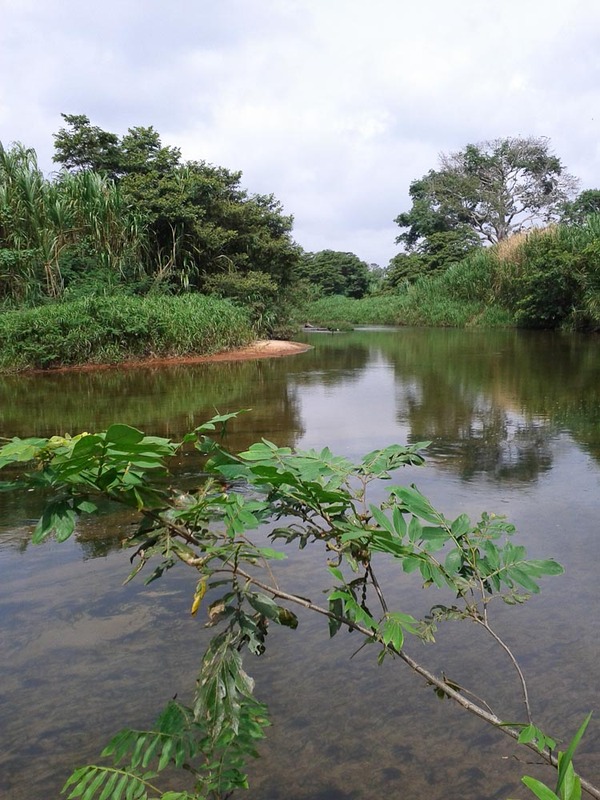 This is an amazing deal for picturesque riverfrontage land so close to the sea, with power and water accessible and the main highway next door.